Do you know what I think we need more of in wedding dresses? Gold sequins. Lots of ’em. I mean, if you are going to dress like a goddess or a princess for a day, you might as well go the whole way and don on lots of golden glitter. This cake is because I like sequins, and I like when brides like sequins. Take this little number here. This is a real bride. Ya, she wore this down the isle. In fact, her bridesmaids wore white. Now there’s a statement. You could even go short with it. Like this one? You can go buy it for your big day right now. See? This gown still has some white in it if going totally against tradition intimidates you. Here’s going back to tradition even more. Why not combine lace and gold sequins? 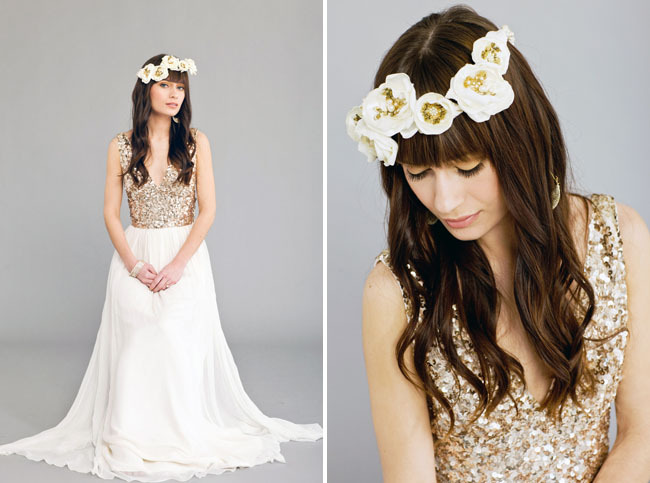 Yes, please BHLDN. You definitely know how to make a dress. So the cake is flashy too. Lots of edible gold beads encircle each tier with some gold piping to boot. Give me some cinnamon cake! 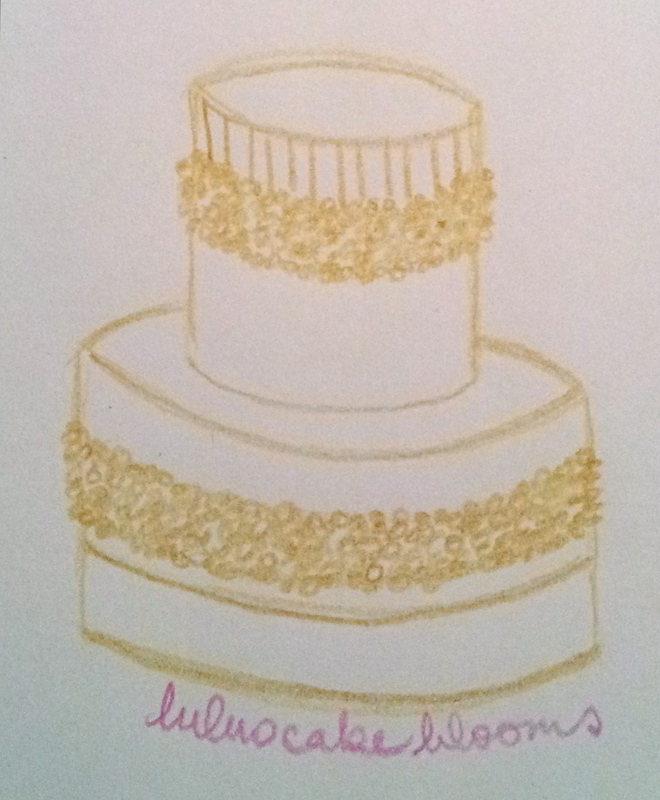 This entry was posted in Cake Designs and tagged cake, design, dessert, dress, edible, goddess, gold, princess, sequin, wedding on August 13, 2012 by Lulu.